Somewhere in the mists of time I have a recollection of reviewing a previous album from Nitrogods for this mighty tome. 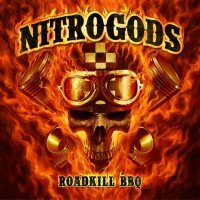 As far as I can remember, they haven't changed their style for this, their third release 'Roadkill BBQ', the title referring to the true story of an unfortunate incident concerning their tour-bus and a squirrel; it's an indication of the dark sense of humour that pervades their lyrics throughout. The gravel-throated vocal delivery that tops the raucously abrasive Rock 'n' Roll created by the trio of bassist/vocalist Oimel Larcher, guitarist Henny Wolter (Thunderhead, Primal Fear, Sinner) and drummer Klaus Sperling (Freedom Call, Primal Fear) is unashamedly reminiscent of a certain Mr Ian "Lemmy" Kilmister and his band Motörhead; the similarity is even reinforced by a bonus tribute disc that comes with the limited edition box-set which contains covers of the classics 'Overkill', 'Bomber', 'Ace Of Spades' and 'Iron Fist'. 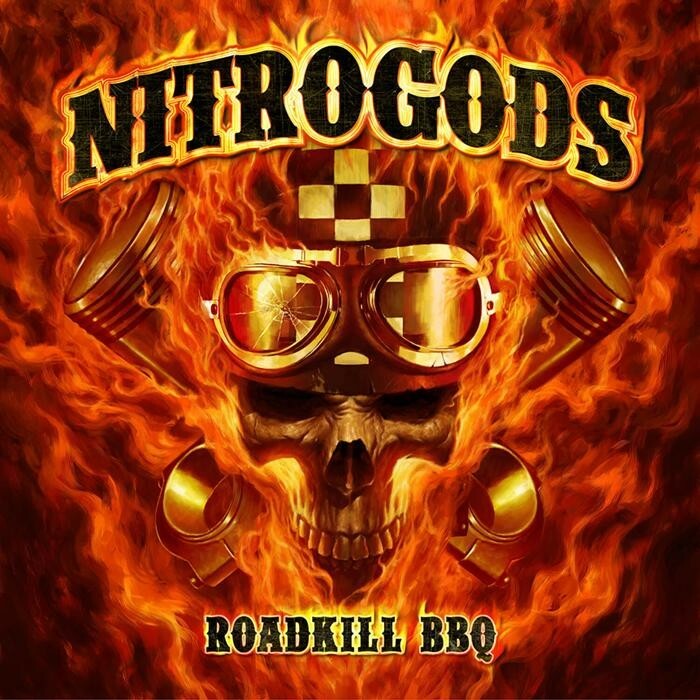 However, while the 'Head remain the primary and obvious influence, there are other classic Rock 'n' Roll references sprinkled throughout, no less than on 'Roadkill BBQ' itself, an intense Status Quo-style Boogie (and indeed dedicated to Rick Parfitt) that is an album highlight. Elsewhere, 'My Love's A Wirebrush' introduces some Bluesy/Southern style guitar licks, the slower tempo of 'The Price Of Liberty' celebrates Ted Nugent and 'Where Have The Years Gone' pays homage to The Who. Though not in the same league as the mighty Motörhead, those yearning for something to fill the void created by the untimely passing of Lemmy may find a certain amount of solace here.